Tamron has issued a warning to its customers that some of the company's Nikon F-mount lenses do not work with the new Nikon Z7 and FTZ adapter. Saying only that 'issues' have been discovered, Tamron promises that it is investigating, and will provide further compatibility updates once a solution has been found. Meanwhile, Sigma has confirmed to DPReview that its Nikon F-mount lenses should work without limitation on the new Z7 and Z6 using Nikon's FTZ adapter. Funny but all the Sigma ART lenses are said by Sigma to be 100% compatible. Sounds to me like this is in Tamron's inbox. Tamron lenses are so ugly I've never even stopped to find out if they work well or not. It can go from ugly to very nice looking once you see the results of the 70-200 F2.8 G2 for much much less than the "pretty" Nikon lens. "pretty"? You are ill informed. The Nikon 70-200 is not just good looking it's one of the finest lenses available from any manufacturer irrespective of where in the zoom range its used. Some people are more than willing to pay for that as indeed they should. Me? I am a Sony A7R user so no bias attached. 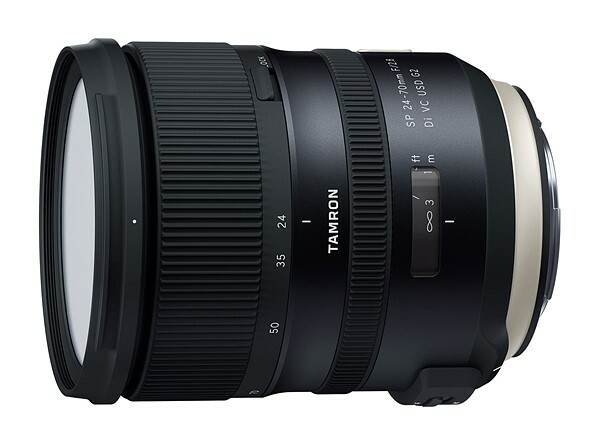 Some of the new Tamron lenses are much more attractive than Nikon lenses. I work with the 35 mm 1.8f and the design of the lens is my favorite out of all the lenses I poses. What Tamron lenses are you talking about? My 70-300 VC is HOT, and I bet the 24-70 VC is even hotter. that satin finish metal at the body side of the lens looks like it came off of a rice cooker or light fixture. No one can blame Nikon if 3d party lenses don't work with the new ZTF adapter, let's be serious here. You kind of can. If Nikon would provide official details and support to third-party lens makers instead of requiring them to reverse engineer the mount, then we wouldn't have this problem. I understand why Nikon doesn't but that doesn't mean it's right or wrong. I have Tamron lenses and I wont buy any Z until it gets fixed. So who loses? Sorry but I disagree. Nikon doesn't have to give any information to competitors. They are not making any money with that. Nikon needs to ensure that Nikkor lenses are compatible with the Z mount. Tamron will have to spend their own R&D money to update their firmware. I have the new Tamron 85mm f/1.8 by the way. I see both sides of the argument. Nikon says its not up to us to fix the issue with Tamron. But at the same time if they dont provide any information, NIkon will lose sales. Thats not a 'what if' that is a fact. I will not buy any Z camera with those current issues with Tamron lenses. And its safe to say that I am not the only one who is thinking that. And I will not spend thousands of $$ in obtaining Nikon lenses or going thru the trouble of getting Sigma lenses just because they work. If Im going to start all over then thats where Nikon lost their advantage. > Nikon doesn't have to give any information to competitors. They are "competitors" for Nikon's standpoint. They are part of the Nikon ecosystem from users' standpoint. Nikon screws part of their ecosystem because they calculated that that is still more then offset by their ability to sell their lenses at a premium. So, all in all, it's still good for *them*. Also remember: Nikon not just "do not give information", they make reverse-engineering more difficult, intentionally. And, in case of Z mount, make it (or rather using its result) illegal. Why would any Nikon user defend what is apparently bad for the users is completely beyond me. Do you have any Nikon stock? No? Then what gives?.. People associating themselves with the brands is a social phenomenon I fail to understand. What should happen for them to wake up?.. Nikon is not going to lose any significant sales because of tamron lenses, let's be serious here... Tamron wanted Nikon to create the firmware update for them. I personaly agree with it. Tamron is the one having interest on their lenses to work with the Z mount because they are the ones losing sales... Personaly and although I will probably have to sell my 85 f/1.8 if Tamron doesn't speed up, I don't think it is such of a big problem. i doubt that any photographer in here has only Tamron lenses, not a Pro certainly and if this is the case, you can still use your Tamron lenses with a different body or in MF mode. ps. i have Nikon, Zeiss, Voigtländer, Tamron and Tokina lenses so I am not talking theory here. I totally agree especially when you consider that Sigma says all its ART lenses have no compatibility issues. How can this be Nikon's fault? This time, they got lucky. When D500 came out (in 2016, a bit more than 2 years ago), a number of Sigma lenses got compatibility issues with it; some were fixed with firmware updates, some weren't. > How can this be Nikon's fault? When Nikon *encrypted* WB information in NEFs (https://www.dpreview.com/articles/8306390752/nikon-encryptnef), wasn't it Nikon's fault that third-party RAW converters could not read their files? Or would you blame Adobe et. al., just like you're blaming Tamron? One more time: Nikon not just "does not disclose" their formats and protocols, they go an extra mile making life of third-party manufacturers difficult. And screw users of their ecosystem in the process. People defending Nikon in this regard AMAZE me. OK, you probably do not have Nikon stock. So what gives? Do you think that without you defending Nikon's wrongdoings they'll go bust and you'll have to switch? What is it? From the post: "After watching Mat's video I have now canceled my Z6 order. I have a lot of Tamron lenses and I could not be more let down." I own two Sigma lenses, the older DG HSM APO 150mm Macro and the DG HSM APO Macro 50mm, both are tack sharp lenses. I am also not planning to be a $3K plus beta tester for the Z7 and Z6 line of cameras. This could turn around to hurt Tamron as Sigma (as mentioned in the article and previously) that most of their lenses should work with the adapter and the Z7. Hopefully for the G2 Tamron's, Tamron will figure out how to get them to work so customers can update them with the TAP-in console. If not, Tamron's future as a third party option for Nikon will become limited. (I'm assuming that they are putting this out there to buy them some time for now). i don't know that all sigma lenses will be perfect with the z7, it's way too early to make that call... things like that can also be dependent on the camera body firmware. tamron milc lenses like the 28-75/2.8 are firmware updateable via the camera body, at least with the e-mount version, so tamron is getting with the milc program. nikon milc owners should grab that lens when it comes out in z-mount, it looks like a nice piece of glass for the money. One can update Tamron 28-75 via Sony cameras because E-mount has open protocol and body communicate with this lens as with native one. Z-mount is closed. tamron figured out the f-mount af protocol, and they'll get this z-mount protocol issue figured out as well. but yeah, maybe Nikon somehow won't allow for 3rd-party firmware updates via the body, I guess we'll see. Sigma has stated unequivocally that all past and current ART lenses ARE compatible. Buying a Tamron for a Z7 doesn't sound like a great match made in Heaven frankly. sigma doesn't have anything like the 28-75/2.8, because that lens was designed specifically for milc. I'm sure given time they will get it figured out. Might be a few months, but especially since many of their G2 lenses are supported (or support) the TAP-in console, that it may just be a matter of a firmware update. At the very least, they may release their own F-to-Z adapter, which would also work, but might irritate some as it would be another piece of equipment to buy (and use) but would probably be far cheaper than buying replacement (different branded) lenses. How does that solve the problem for people who already own Tamron lenses? The problem is solved by not buying a Nikon Z! Nikon has a lot of great cameras, but Nikon Z is not one of them ! For those not invested too deeply in Nikon already, I read this message as "buy Tamron lens, don't buy Nikon body"
Fortunately for me, the mediocrity of my image making obviates the need for the latest camera gear in any format. And I sure save a lot of dough! I got a very complete and pristine Konica Minolta Maxxum 7D DSLR kit for next to nothing a few months ago. And I think it's great. But I admit too that the Nikon Z6 has been talking to me. Yup. You could probably get a Canon 30D for next-to-nothing today. Then, you could make mediocrity at 5FPS! Are your train pics really worse than the professional pics? They don't look bad to me. Can you point me to train pics which are better than yours? Just curious - are the affected lenses user upgradeable via USB ? Is there a hope this can easily be sorted without sending in the lens for modification? usb into what? the tap-in console? or a Nikon-brand adapter, that has a usb port on it, like the sigma mc-11? unfortunately that won't help those of us with dslr glass... i think that my tamron 45/1.8 is so old that it can't even talk to the console, it needs to go back to the factory for a firmware update. It is a brand new mount for a brand new system with zero time in the real world for testing.. so it is rather a pleasant surprise that Nkon seem to have gotten as much right out of the gate as they have. I think that this too shall pass. FGs. Its a piece of metal. Then again the last Nikon mount was designed in a mythical time by people who all took their secret mount magic to the grave. And you are right - its not really a futureproof mount since its to small to make the next step to MF. FF is now bottom size. PS, APS and Compact are gone and replaced by phones. A truly groundbreaking thing of Nikon would have been an Android phone with which would let you use all their lenses. 4k/8k vid. The hardware of my phone is better than the Z. Has way more ram and built in storage...the magic word...connectivity. Tango'd? I'm not sure what that means, but most of the above reply is talking about phones and medium format, none of which were anywhere mentioned in my post. My point was simply that Nikon seems to have done a pretty good job of adapting a lot of lenses from the '80s on up to fit their new system, and the fact that most of it seems to work right from the start, is pretty good. I don't shoot Nikon, I'm not a fanboi. Just an observation. Tamron should make their own adapter. 3Rd party adapters started being released less than a week after the Z7 announcement. "Dear users and potential purchasers of Tamron interchangeable lenses. We are in process to search for the causes and will make further announcement of the compatibility for every single model once we find the solution." There is only one good thing in the statement ... once we find the solution ( not- if we find the solution) . well one "100% working solution" would be a tamron adapter ... but they have to reverse engineer the Z first, so it may take a while. I think Amazon want you to buy Sigma lenses while waiting for Tamron to get its act together. Or maybe its just a dig at Tamron owners for making the wrong choice. They're both top 3rd party lens manufacturers. It makes sense to compare them. Atleast for me, all of this confirms that here is no point buying a Z6 anytime soon. They work fine with Nikon Df and D5300. I will wait for Tamron to sort this out before buying a Z6. In a way, Tamron's problem could be Nikon's problem too. Really, I'm not worried too much about this. Sure, some features won't work, but in most cases, the basic functions will, like exposure and focus confirmation. In the world of cameras, those two functions had to be perfected long before autofocus. That said, modern lenses that rely on solely electronic communication are the LEAST reliable in the long term, so I guess one has to accept that there will be some problems. "That said, modern lenses that rely on solely electronic communication are the LEAST reliable in the long term"
it is more a matter of compatibility, here, than reliability... Mainly because, #1 the firmware does much more complex things than a purely mechanical link between the camera and lens, #2 firmware evolves, #3 this is reverse engineering. But we see more and more lenses with upgradable firmware to fix bugs... and compatibility issues. Okay. I'll agree for the most part. However, I've seen firmware crashes with my Nikon 1 FT1 adapter and/or lenses and therefore compatibility does become a reliability issue. In this case, a lens suddenly becomes less reliable, and what would have been a fantastic combination is rendered obsolete. That does not fit in with the philosophy of previous generations of Nikon cameras (and users). Correction... 3RD party lenses have issues. Not native lenses. It’s not an issue at all with Nikon or Canon lenses or the cameras. Gmon750, that's true for current AFS lenses, but not always the case. A firmware upgrade may disable a feature or even the whole lens, as, once again, is the case for my FT1 adapter for Nikon 1 cameras. That's why I prefer D or AI-S lenses that have physical aperture rings as adapted lenses. As long as exposure can be made by stopping down the lens, they all work well -- maybe not perfectly -- but they do work. The Nikon J5 (the N1 body with the best sensor) will not function with the Nikkor 200-500, for example. If Nikon does find an issue, they're as likely to disable it as they are to fix it. Parry, have you even considered that the new mount has been developed because the old one is as old as my parents? Nikon can't even make 1.2 AF lenses on this mount due to its limitations, not to mention that a mechanical aperture is less reliable when it comes to reproducing the same results when compared to an electronic controller. And overall, when it comes to reliability, the general consensus in every product on the market is the less moving parts - the better. It's why SSD's are more reliable, why electric cars are more reliable and when everything that has less mechanical moving parts involved gets more reliable. Actually Parry, at this point the newest Tamron G2 lenses won't even let the camera's shutter fire, so missing a feature like taking pictures is kind of a big deal. Nevertheless Tamron will figure this out and all will be fine in time. Kryshv, yes, the mount needed to be updated and by and large I think Nikon has done a good job updating the F mount over the years. You're correct about limitations, but is f1.2 or wider really needed? I think 0.95 is just for having rights -- that new Z lens isn't even autofocus. Nikon needs an adapter because a full line of Z lenses can't be produced in only a couple of years. The whole purpose of this discussion is because it's not just the 300+ Nikkor lenses that are touted in the Non ads, it's also the hundreds (maybe even over a thousand) of other lenses that share that mount. That also includes f1.2 lenses from the past -- they work just fine on current dSLRs. JDS, yes, I hopethuggery can come up with a solution. Nikon is betting on a much larger user base than for Nikon 1 cameras, so it's no surprise that they didn't put any extra efforts into pleasing 3rd- party customers or manufacturers. However, since Tamron and Sigma together have sold a considerable fraction of all F mount lenses, there is more to lose than gain with the closed mount -- Nikon users will simply buy another camera, and that means Sony, Fuji, etc. more more than ever before. I've owned two Tamron lenses and both of them were soft and could barely lock focus half the time. This sounds like an opportunity for Tamron to blame Nikon for their own issues. This is a case of a photographer not doing their homework. I've passed up on lenses of all brands because I wasn't satisfied. That doesn't mean they won't work for others. I've been burned in the past, too, so we're probably both better photographers and consumers because of that. Not necessarily. Now not being able to lock focus could be a technique issue (as I've rarely had issues locking focus, and usually in my case, it was there wasn't enough contrast for the camera to lock onto--again, photographer technique issue). But with Tamron's copy to copy variation, it is possible to still get two lenses that are soft. It's less likely with one right after the other, of the same model, but let's say you got a 15-30 and a 24-70. You very well could end up with two soft copies. I know I had to send my original 15-30 back once to be recalibrated, and then it had an AF issue after that so I had them exchange it for another one. Everyone is going to be pointing fingers at eachother. If Tamron can't figure it out, it is probably more Tamron's problem than Nikon's. It will hurt Nikon a little because people will see it as a way of locking out 3rd parties, but there is no rule that says you have to support 3rd party. Look at Fuji. And a lot of that falls on the 3rd party mfr to figure it out. Sigma has apparently been able to figure it out. Tamron just needs to figure it out for themselves, how to get their lenses to work. I would think if Sigma can do it, Tamron can at some point get it figured out. And maybe the solution is for Tamron to make their own adapter for their lenses (and they may). cjones63 - "I've owned two Tamron lenses and both of them were soft and could barely lock focus half the time." i shoot with a tamron 150-600/laea3 adapter combo, and a tamron 45/mc-11 adapter combo, and they both focus very accurately on my a9, and quickly... they are both sharp. but then i don't have to deal with af fine-tuning, because it's a milc body... i think that tamron will fix this with a lens firmware update. FTZ adapter has electronic components as well. What if this is a Nikon issue, a bug in design or firmware of the adapter? If that is the case, the problem might not be isolated to Tamron only. It won't be. There are examples of incompatibility within Nikon's own designs as well. I'm thinking of you, TC16A manual-to-AF teleconverter! All autofocusong lenses that aren’t screwdrive work fine with the FYZ adapter. Even AF-D lenses that are typically screwdrive can communicate with camera just fine. They just become a manual focus lens that relays lens info. So if ALL Nikon lenses work fine with the FTZ adapter, and some Tamrons don’t, how is it a Nikon issue that 3rd party lenses don’t work? Even with F mount bodies, 3rd party lenses are not guaranteed to work like OEM lenses. This is Tamron’s probmlem 100%. Since technologies change over time, even though the physical mount and contacts maybe don't, there is bound to be some differences that may make some lenses incompatible with brand new hardware. especially if, say, the API (used in the firmware) or something changed for the new Z-mount lenses. I found it amazing that when I put a Yongnuo 100mm f/2 lens on the FTZ adapter the lens performed as magically as could be expected. No real point here, but since I work in a camera store I have had the luxury to try many different lenses on the Z7 and adapter to see how well things work or not. For no other reason than I could, I put the Nikkor 55-300VR on the FTZ and it worked spectacularly. Some of these really cheap and irrational options work great, and I find that amusing. I think Sony infected the photographers mindset that all adapters are rubbish. No, their adapters and the communication protocol translation is rubbish. The Nikon mirroless body knows how to drive a Nikon DSLR lens. It is not reverse engineered like Sigma and Tamron does. For me it looks like it is a native body-lens pair, just needs the adapter for the mechanical parts. Sounds like a legal disclaimer. Tamron don't want to be blamed for lenses not working properly on Z mount. Some Nikon lenses look like Tamron designs which adds further weight to the rumor that Tamron has access to the F mount protocols. But perhaps Nikon decided not to share the workings of Z mount in order to keep it and high margins to themselves for the time being? The few lenses on the roadmap suggest Nikon is doing it alone. I’m half expecting Sigma will produce an adapter for its Nikon lenses, to avoid these compatibility issues. Perhaps Tamron will do the same. Except Sigma says there is no issue so why would they? Sigma say they 'SHOULD' work without limitation which is very different to saying there is no issue. Tamron have a Nikon licence to produce lenses for F-mount. I am sure this will be resolved. The fact that Sigma who reverse engineered it does work, probably means The Tamron lenses have a more low level interaction rather than just faking it, which causes the problems. One of the biggest disadvantages of shooting Sony over Nikon is that its community largely consists of incurable fanboys. Useless to serious photographers. What a weird post! I don't disagree with your first paragraph, seems a reasonable explanation but what is with the second? I thought it was the other way around... I thought Sigma had the contract, and Tamron had to reserve engineer...? no, a few tamron salesmen told me they has a license with nikon (so they say). Sigma is reverse engineered and won case on reverse engineering to be allowed. I heard you get a ThroatSizeTooBigException followed by a lens panic. ...and then you get a wallet dump for the backup GAS handler. I was a potential buyer for Z6 and one of G2 lenses but now I will not buy either of them. Just wait until a firmware update comes along (either for the Nikon or Tamron or both) and it will probably work out. It's still a very new system with very little real world (by that I mean every day photographers) using it. But I semi agree... I'm not planning on getting one until they resolve these (and other) issues, which might be a year or six months before they release an updated firmware to fix this. But I think it will get fixed on one or both ends. If Nikon didn't want Tamron and Sigma to compete, they would have changed the mount already. This is just a software (firmware) issue that can be most likely be fixed with an update. From what I heard from the adapter manufacturers Tamron has clearly got the licensing from Nikon, because the transmission is also encrypted just like Nikon lenses. Meanwhile Sigma just reverse engineered their way in. The funny thing is that every time Nikon updated their protocol, Sigma will just be unaffected while Tamron has to do go through all these "we have a issue - we have fixed it" loop again and again. And that's why E-mount is the current leader of MILC race. Bought Tamron 28-75mm f/2.8 just 2 days ago, fantastic lens for an open system, where I have a fair choice of glass beyound certain Sony's pricey offerings. Yes but you need to accept there a good chunk of enthusiasts, including myself, who would rather give up the hobby than shoot Sony. E-mount is not a truly open system. If I'm not mistaken, you have to apply to get the mount specifications and electronic communication protocols, and not every applicant gets Sony's approval. But sure, fewer companies need to resort to reverse engineering the E-mount than is the case with Nikon's (and Canon's) mount. You'd rather give up photography than shoot another system? That's pretty sad . It's just an electronic tool, it's not your pet dog. No I actively dislike the handling and product, I'd rather use any other brand or perhaps just draw it by hand than shoot it on Sony. "Yes but you need to accept there a good chunk of enthusiasts, including myself, who would rather give up the hobby than shoot Sony." Then you are not really a photographer. Phil Dunn - rubbish, of course he is, just a very selective one - as am I and everyone else - why do we choose the gear that we do amidst the choice out there? We all have our preferences, and nobody else can tell us that we’re ‘wrong’. I too would never use Sony (and why would you care why not?) although I wouldn’t give up, just use anything but! Even.....gulp.......Canon! StevieF read again what he wrote. His comment was if he had no choice but to use Sony that he would give up photography. No real photographer would say such a thing. "Oh I see spending all my money and time on cameras since 1982 studying it at art college was just an error on my part and I don’t know anything about photography, thanks for that." I never questioned your photography knowledge. I was responding to your odd comment where you said you "would rather give up the hobby than shoot Sony." That's simply a statement that no real photographer would make. Nothing arrogant about my statement. The arrogance is in the statement I addressed. If you too say that you would give up photography if you had to shoot with a particular brand camera, then you too are not really a photographer. Real photographers would use whatever camera is available to them. @PhilDunn, +1. No real photographer would claim to stop shooting with a certain brand.. As you say, a camera is a tool. This fanboyism is for gearheads only :). What about Sigma cameras? I own two of them, both DPMs. Would you shoot with them? They pretty much have only one usable ISO though. 😁 Shockingly amazing quality though. Well they have very low sales and have gone down a design dead end so not really. If you focused on manufacturers with some heritage with making cameras rather than irrelevant electronics companies trying to make quick short term profit from a gap in the market, you may own a better selection of equipment which holds value better. I’m actually looking down on anything less than Fuji GFX at the moment..
@Nikoncanonfan: and still: if you say you would rather quit photography than shooting with a certain brand, you are not a photographer. This is plain gearhead talk. Point. A real photographer would choose the tool that helps him to earn money. If that is a Sony, fair enough. If it is a Canon, fine (I shoot Canon at the moment and think about switching to Sony). There are pros out there that shoot Sony and they earn a good living with it. But if shooting birds is ones hobby... up to you ;). "Well they have very low sales and have gone down a design dead end so not really." Back in the film days most of my shooting was done on ISO 100 film so I see my Sigmas the same way. Not hard to readjust to, especially for the exceptional image quality. Again, it's just a tool. As for heritage, that's meaningless. All I care about is if the tool is effective, and Sony obviously makes effective tools. That's all you should care about too. I said what I really think about sony and their cameras at great length and got a warning off admin so you will have use your imagination let's just say it's very very uncomplimentary, think I can get away with that! "I said what I really think about sony and their cameras at great length and got a warning off admin"
That's a shame. There's no reason to be squashing anyone's views and opinions that way. Ahhhhh, Sony fanboys are lurking around here, eh? Unhappy with their choice? I assume so. "Ahhhhh, Sony fanboys are lurking around here, eh? Unhappy with their choice? I assume so." Grade school was a very long time ago for me. @Rainersen, I just went through some of your comments. It seems that you have a personal problem with Sony as a brand. You seem to be quite aggressive with your anti-obsession for Sony. What happened? You know, we don't care about which brand is labeled on a camera (let it be Sony, Canon, Nikon or Whatsoever), as long as it serves our needs to take photos or to earn money with it. If you want to call this "Sony fanboys", up to you :). @Nikoncanonfan: Why do you care about market shares? Do you work for Canon or Nikon? Or do you own shares from them? So why on earth are you so obsessive against Sony? Did they harm you? @Rainersen: btw... A fanboy is someone that would refuse to take photos with a certain brand, just because it is a certain brand. Or someone that has "fan" as part of his nickname, combined with a brand. Agree? A fanboy is also someone, who keeps bashing/trolling against other brands than his favorite one (like you :)). right? Nice try... call me whatever you want. It doesn't change the fact that Sony fanboys try to bash over here. @rainersen, what does that have to do with me or what I wrote? I don't even own a Sony. .. and why are you so emotional? We are talking about tools, not politics. This is on Nikon as far as I'm concerned and if Tamron cannot fix it, Nikon lost a Z6 sale. How is it on Nikon? Tamron is not an official partner of Nikon, so Nikon have no obligation to make sure that Tamron's lenses work properly. Any company that does reverse engineering has to keep up with any changes that is made by the other manufacturer. Agree is frustrating for those with Tamron lenses right not but is not a Nikon issue but a Tamron issue to solve. Ironically, Tamron would lost a 70-200 G2 sale from me if they can not solve this issue. Make the F mount protocols public. They're going to retire it anyway now. New sales'll be Z. It is on Nikon IF they want to sell a Z camera to me. So F-mount Tamron owners will be on the fence, waiting for TaNimron to solve their issues. (I got T: 15-30, 45 and 90mm). The issue for me is the 70-200mm f2.8 G2. The G2 has been attached to my d750 since I got it a few months ago and I'd rather have a d750 with it than a z6 without it. If Sigma lenses work fine but Tamron's do not, it's actually on Tamron. I write that as a Tamron 70-200 G2 owner. The thing I don't like about the announcement is that they won't say which lenses are affected until after they find the *solution*. Basically they are saying to Z owners, don't buy *any* further Tamron lenses until further notice. I guess by the time the Zs are actually available, Tamron might have a solution. I think they're just playing it safe by implying "all" or "most" won't work currently, rather than picking out the ones they know for sure, and leaving out the ones that potentially have problems and risk backlash over it. From a consumer standpoint, it's usually better to be told your's wont work, and it does, than to have it not work and not be told. They're just taking the safe route by implying all or most. Come on Tamron, this is not good enough. People pay a lot of money for your lenses and needs to be able to use them. I hope the engineers at Tamron will burn the midnight oil until they have fixed their issue. Blame Nikon, they won't share the lens protocols. This is not Tamron's issue. Does Tamron promise that F-mount lenses will work at Z-mount cameras? "This is not Tamron's issue. Does Tamron promise that F-mount lenses will work at Z-mount cameras?" Does Nikon promise that Tamron's F-mount lenses will work when used with a Z-mount camera? I don't think so. Nikon and Tamron aren't partners as far as I know, so Nikon has no obligation to make sure that Tamron's reverse engineered lenses will work properly on any of their cameras. In every other industry, the major manufacturers would have come together DECADES ago for a common standard. Not so in the photo industry; it's all about turf wars and the "not invented here" syndrome. This is sad; the only thing this achieves is to let a completely unrelated industry (the smartphone industry) overtake and grab a large piece of the cake. I'm impressed that the older Tamron's seem to be working (original 15-30 for example), but I'm amused that the newer G2-generation isn't. I'm sure Tamron will get this sorted out, and hopefully before my Z6 arrives! I don't get it either. Reports has been that the g2 series are having problems. but i tired my g1 original vc it worked? But the g2 has a usb dock ability so it can be patched/fixed unlike the g1 and older lenses. Sigma said their lenses "should work", that is not positive confirmation. This just confirms the issues with adapters that have been posted by several people on this forum recently. Ken Rockwell mentioned this issue a along time ago. Another poster(can't remember the name) recently did an analysis of various adapter makes and why adapters will most likely give worse IQ. I have already a Nikon Z7 and two Tamron Lenses. With the 70-200mm 2.8 G2, the camera immediately gives an error message. My old 24-70mm 2.8 makes problems with the autofocus. The camera sometimes resets the autofocus. The correct focus is very rare, below 50%. For the 70-200mm 2.8 G2, I hope for an update. The 24-70mm I must probably buy new. They should, especially since many G2 lenses can have their firmware updated. Although I do agree it is odd that the Gen 1 lenses have a better chance of working (I don't have a Z camera to test my 15-30 on). for photography even any DSLR do all, for video there is a Blackmagic... Also there are a million cheap lenses for DSLR and few very expensive lenses for mirror less cameras. Make good photos can most DSLR, most users even doesn't use all features of any DSLR. Different is in size (little smaller) and weight (little lighter). One of the best photographers of times Henri Cartier-Bresson in 95% use just one simple mechanical camera (without any auto exposition!) and 50mm lens, and films with ISO about 25-50!!!! About new films with ISO100 he said there is a films with very high sensitive! Modern photographers use million lenses and top cameras and can use ISO6400 and even more, but can't go even closer to him... My opinion is - study and develop own photographic vision and skill, and use any used normal DSLR (Nikon 7xxx series or Canon analogs, Pentax or Sony) with few fix lenses, and work, work and again work. Things change. Expectations change. Just because something was amazing 90 years ago doesn't mean it's still amazing today. The Leica Cartier-Bresson first shot used the then-new 35mm format, was extremely compact, and had excellent lens sharpness to help offset the poor image quality of such small frames. It was the top camera of its time, and that he shot with the best gear available should open some peoples eyes around here that brag about famous photographers only using "minimalist" gear to get their shots. Back then, this was high end stuff, just like the camera's we're talking about in these threads. And yes, back then 25-50 ISO (and slower!) was normal. Today, they look like ISO 1600 and 3200. And yes, there are still ultra slow films like that floating around. I use to coat my own ferrotypes. The FTZ won't autofocus my Nikkor "D" series lenses, and now not my Tamrons, either? Oh well, I guess I'll just have to stay with my DSLRs. Or, if I do replace with mirrorless: since my F-mount lenses aren't autofocus-compatible with the "Z," and I'll have to buy mostly new lenses anyway, why would I look to Nikon, first? Sounds like a good time to explore Canon RF or the new L-Mount team . . . after all, it's not as if there isn't any competition. By early next year, full-frame mirrorless camera systems will be a dime-a-dozen. Eh, I'm sure someone else will buy the "Z" that would've had my name on it, right? I have only 2 d series lenses now. 1 is on a film camera taht was made before i was born. The other is the 80-400 which I got cheap, but am frustrated it doesn't focus track for bird in flight or action very well. It will be sold for a longer lenses maybe next year. The value i see in the d lenses is they are quite small and compact. for milc, cheap too. Maybe for street photography, but the af isn't as fast. The old AF-D 80-400 worked best on the D3 series. They had large batteries, and could therefore power the lens. Most of the current Nikons (except D4 and D5) use the same small battery, and so they don't have enough juice to focus quickly enough. I shot almost 200K photos with a D3X and the old 80-400 lens, and had no problems with it. I am referring to taking a series of continous shot. I was photographing a jousting tournament. The first shoots are in focus the rest became hits or misses. The modern sport lenses af-c much better, using the same camera d750. I usually have a battery grip. Another "from-nikon-with-love" booby trap on Tamron's way... It will never end. It's precisely incidents like these which is I why I only buy official lenses. If you prefer saving a buck and rolling the dice, go right ahead. I prefer less headaches. The fact that Tamron lenses have problems is testament to the veracity of the "anti-consumer conspiracy theories", as if companies opened up to 3rd parties so their lenses could have native specs, this obviously wouldn't happen. That's why Sigma, Tamron and then Samyang introduced their lens consoles. It makes firmware updates a breeze - and this problem is likely to be addressed in a future firmware version. It's unfortunate that the consumers have to wait for a fix but in all honesty there aren't likely too many users affected as there's still but a few Z7 units out there and yet fewer operators are using adapted Tamron lenses on them. Remember that a year or two ago Sigma had solved a problem posed by the newest Canon bodies. Yup, good luck updating firmware on Nikon lenses if an issue pops up. Newer nikon lenses can have the firmware updated on the latest bodies. "We would like to announce that we have discovered issues that some of Tamron Di/Di II series for Nikon mount models may not be operational properly on Nikon Z7." Could they be more vague? Closed protocol mount is very clearly anti-consumer. Nikon is known to go above and beyond just "closing" its software: e.g. google for "nikon WB encryption". Reaction? "For a completely new mount I am very suprised just how well adapted lenses are working". A guy (rightfully!) making fun of the "future-proof mount" motto is called "Sony shill". Yeah, right; shoot the messenger. I'm not a role model, to say the least; snark remarks are among my many sins... But goodness, it has nothing to do with brand loyalty -- mine is zero. If Sony (that I *currently* shoot) does something anti-consumer (star eater issue, omitting SLog in some cameras, the terrible PlayMemories mobile app, etc.) I call it BS. If they start playing Canon one day (i.e. take crippling to an entirely new level), I'll switch. I'd feel like a sheep if I acted differently. Sheepish brand loyalty makes me sick. What's wrong with the PlayMemories app? > What's wrong with the PlayMemories app? Like, say, if I start PlayMemories on my mobile, and *then* try to initiate image transfer from the camera, it all just stalls, and nothing happens... It was driving me mad until I finally figured that if I initiate transfer on camera and *then* start PlayMemories app, it (mostly) works. In about 90..95% cases (in 5..10% of cases it still stalls). GPS link over BT works less than 50% of the time... The worst part of it is I do not know if it worked until after the shoot. No pattern to it. And so on and so forth. I can write an article about it. But that's just bad programming. The "BS" part of it (in the context of this... discussion) was that I had to create Sony account via lamest of UIs to get the in-camera app that would talk to mobile app. If I try to share an image from PlayMemories app, there is an extra screen pre-filled with #sony-this/#sony-that hashtags. Marketing needs go before those of the users. That's BS in my book. Hmm, never had an issue transferring images, but I don't have a GPS/Bluetooth-enabled camera to test that part. And yes, entering text is basically like doing it on a PlayStation, but it's like that on any camera that doesn't have the touchscreen enabled for that feature (which is a rarely used function). Also haven't tried to share an image directly from the app. I just share straight from my standard gallery app. Interestingly, I don't remember having issues with a6000 and old app. With a6500 and newer app, it seems to have gotten much worse. The camera is not GPS-enabled, it's just supposed to communicate with the handset over BT and pull GPS info from it... which it doesn't do most of the time. I don't take issue with how the text is entered... But I shouldn't be doing this at all, in the first place. The in-camera app should be pre-installed, or its functions should be part of the camera FW. Mobile connectivity is not "optional". I understand why they force me to do it: to drag into Sony/Playstation ecosystem... Like I said, marketing needs go before mine, the user's. > I just share straight from my standard gallery app. That's what I ended up doing, too -- given those extra hoops Sony tries to make me jump through. So Nikon spend a ton on R&D but should give away any advantage to third parties? Nikon might think they are being smart and not giving away R&D to third parties but they are ignoring the real world. It's just a fact a large number of their users use third party lenses and if Nikon makes it they can't use their third party lenses on new bodies then they risk losing customers. There will be fewers sales of the new Z bodies to existing users who have third party lenses and people who are not Nikon users may be reluctant to switch. Not everyone can afford to choose whatever Nikon's lens offering is for a particular zoom or focal length or can afford to replace all their 3rd party lenses to Z compatible ones and I'd have thought Nikon would prefer selling a Z body to a Tamron lens user than to not selling them a Z body at all. > away any advantage to third parties? Canon sells adapter for USB charging for extra $190, whereas pretty much everyone else provides this functionality for free. Is Canon "right" in doing this? From Canon standpoint -- yes, it brings them extra cash. Should Canon users be happy? NO (unless they're Canon shareholders): it's extra cost and inconvenience. Likewise, Nikon is doing what's good for *them*: w/o competition, they will be able to sell Z-mount lenses at a premium. Users will pay that premium, and miss lens variety that 3-rd party manufacturers bring. Only Nikon shareholders and mindless fanboys can be happy about that. And it's not about "a ton of R&D", at all. Sigma was able to win lawsuit about reverse engineering the F mount because, well, there was nothing to protect by Nikon. This time, Nikon specifically designed Z mount to be patent protectable -- made it just different enough. Introduced artificial complexity. See my other posts AND follow links in them. Will their EF mount lenses work on the EOS R with the adapter ? Will their EF mount lenses work on A7Riii with a Metabones V or Sigma MC-11 adapter? mc-11 with fully compatible sigma glass should do up to 10fps on the a7riii, and up to 15fps on the a9, using the electronic shutter. Thank you. The more I read, the more I am thinking of renting an A7Riii, both adapters, and a few Canon and Tamron EF lenses to see if I can cobble together a working combination to purchase later on. Remember to update firmware on both adapters. More important if you're renting an A9 or Sigma lenses, as they've received significant firmware updates recently, though you'd also need the Sigma USB dock to install that firmware. yes, make sure that all firmware is up to date, that is super important. if you have ef-mount glass already, renting a body is a good idea, but if you are starting from scratch with everything, I don't know that i'd be buying canon glass for it... unless maybe used? i'd start with the sigma 28-70/2.8 e-mount lens, if you needed a zoom. canon brand glass on eos-r should be very compatible. maybe post your specific scenario up on the sony ff milc forum, so that you don't run into any land mines. One more thing about the adapters: the Metabones requires an initial "calibration". I'm guessing it just needs to record the lens' min and max focus distances/limits. Metabones says to aim at a target without detail (like a flat wall), let the camera focus in and out where it won't lock onto anything, then shut the camera off to save the info to the adapter (the "smart" part). You need to do this for each camera, as it can register multiple bodies. If you don't do this, you may notice some focus inconsistencies on some lenses the first few times you use them. I definitely did on my Sigma 8-16 and Canon 18-55 STM. After that 5 second calibration, they're perfect. Thank you, both, for those very important tips. I am sure those tips will help others too, who are considering doing the same as I. When I scrape together enough time and money to try this out, I will do as you suggested. I've got Nikon 1 cameras, and the FTZ adapter is very much like the FT1 adapter for CX mount. I've had compatibility issues with most of my Tamron lenses -- some might work for awhile and then miss some functions (usually AF, sometimes lack of continuous AF or VC/VR -- exposure and focus confirmation always work), yet others never work. If there is a future firmware fix, either from Nikon or Tamron, it may be temporary. To be safe, use Nikon lenses. That's what Nikon wants us to do anyway; but if they're smart, they would at least allow current compatibility to kick-start new sales. By the way, there are just as many compatibility issues with the FT1 and Sigma lenses, so don't bank that all Sigma lenses will work all the time -- current Sigma lenses, maybe, but one firmware change could reverse things. Finally, some NIkkor lenses may be disabled, as is the case with some Nikon 1 cameras. (I'm thinking the 200-500 with the J5, although that combo works with the V3 -- go figure!). I just got a Kipon EF to E adapter (v2, round one) for my GX85, and it works very well. Not really in AF-C, but AF-S and AF-F work great. Already tried a bunch of lenses (from 8-600mm, F/2 to F/6.3) and only the Yongnuo 50/1.8 failed to AF. The rest were excellent to super fast in focusing. The only negative, of course being CDAF, is a slight "bob" right before focus is achieved. Just the CDAF checking focus, but it's what makes AF-C unusable unless you have a Focus Priority setting on your camera (GX85 doesn't). Otherwise, AF-F is very close to proper AF-C in the way it acts. PS: tried the newest Viltrox before the Kipon, using multiple firmwares. Crashed the camera, sometimes almost instantly. Useless. Go for Kipon or Metabones if you want to use AF reliably. In case you weren’t aware (if you just meant it doesn’t work in the way you need, apologies), the GX85 does have a Focus Priority setting - spanner C tab in the menus, page 3 of the 9 in that section: Focus/Release Priority. Pick the preferred option. The camera isn’t even available yet.. Seriously? Where have you been sir? So you follow a stupid comment with another stupid comment? Interesting! @Fly18 I just wanted to stir Canon Fan Boy, as time in the basement must be boring! I didn't think the Z was available. Funny that Tamron lenses which zoom with the same rotation as native Nikkor lenses has issues yet the rebellious Sigma with their Canon rotation seems fine. Confess I thought Nikon and Tamron were "semi-friendly", and that Sigma were the "cold-war" rivals ! Sony is the second-largest shareholder of Tamron. But I haven't heard of it being anything more than a financial investment. The Sony stock holding is as far as anyone needs to read. And just before someone points out that that is not official. The fact that Tamron lenses can be firmwareupdated by Sony bodies speaks volume for their partnership. And for the Zeiss - Tamron partnership what do we know? I don't doubt Zeiss works with Tamron, but I don't see any sign of close collaboration between Sony and Tamron. Tamron has only two lenses for E-mount (1 FF, 1 APS-C), which is much less than Sigma or Samyang. Also, I am not sure if Sony and Zeiss are coordinating their ranges very closely, as seen by the overlap in the 24mm and 85mm primes. Zeiss and Sony have a very deep and open relationship. There is no guesswork needed for that. Both have public statements about that. I am not sure what "a very deep and open relationship" is supposed to mean. They are not lovers after all. These are independent companies. I was talking about whether they closely coordinate their product lines for E-mount, which I doubt is the case, when looking at the overlaps I have mentioned. A similar overlap exist for the APS-C lenses as well. What's the purpose of two 85mm/1.8 or two 35mm/1.8 lenses (APS-C)? I think I just heard the sounds of Nikon's engineers giving each other a high-five. Yes, a high-five on the face. At this point, they should be. 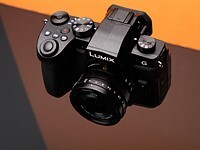 With Sony and now Panasonic getting big support from third parties, and with Nikon having 3 lenses for the foreseeable future, it would certainly benefit them to have compatibility with as many lenses as possible, as fast as possible. Nikon doesn't make every lens you want to use. Now, if they could just make an adapter that doesn't work with gray market lenses. Let me guess you shoot with a small diameter mount..
What do you expect from a Sony sheep? You blame Nikon for other’s issues? Should Nikon guarantee other manufacturers lenses work too. Are you that dumb? Don’t answer. Yes you are! I doubt Nikon gives a hoot about third party lenses being adaptable or not . Tamron reverse engineered the F-mount they were not given access to it . Does any company care if a third party product does not work with their equipment ? "You blame Nikon for other’s issues?" Nikon actively blocks third parties. Therefore, Nikon gets the blame for lack of compatibility. Yes I blame Nikon. Do you know how other manufacturers handle it? Sony bodies even can provide firmware updates for Tamron lenses with full Interface compatibility. It is good that they made this statement. Tamron employees and reps have been giving different unofficial answers. At least they can all give the same message. I agree - when I had Z7 first time in my hands, the Tamron SP 35mm F/1.8 Di VC USD was not working. on the other hand, Sigma 35 1.4 Art was working like a charm. Wonder if its simply the fact it was a Tamron lens with different code/firmware or because they have VC which the Sigma did not... which again would mean different code/firmware. Heart 💔 breaker for lots of Nikon f mount shooters.